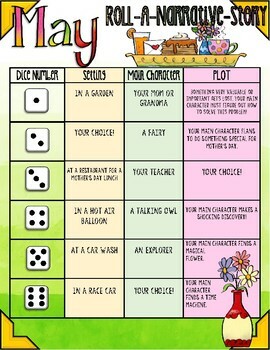 This is a narrative writing activity in which students choose the elements of their story by rolling a die. 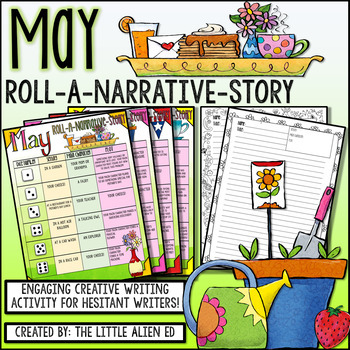 This file contains four different element boards in both color and black and white, all with a May theme. It also contains two versions of May writing papers! 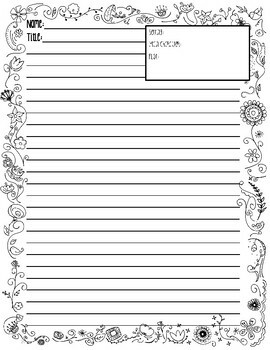 These work great in a writing center, or can be used for extra writing practice at home! 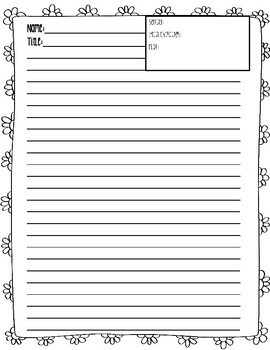 This resource will get your students excited and motivated to write!